Here is the scoop on great kid-friendly cafes, adventurous activities and some hidden gems only known to the locals. Even if you’re Melbourne born and bred I think you will find some surprises. 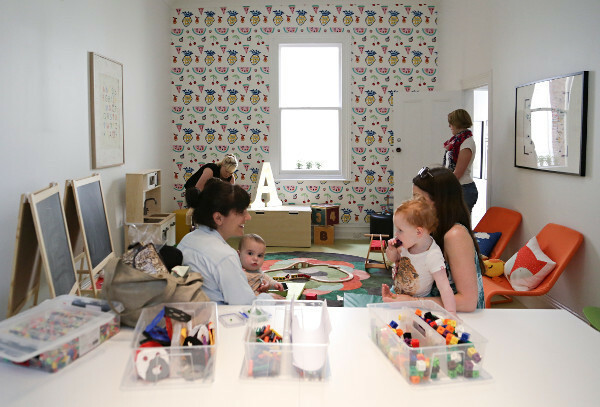 Come discover ten great ideas for a family day out in Melbourne. Right in the heart of the city lies this truly magical place where children can interact with nature and learn about care, respect, and responsibility for the environment. Or just pack a picnic and enjoy the sensational beauty of the gardens. 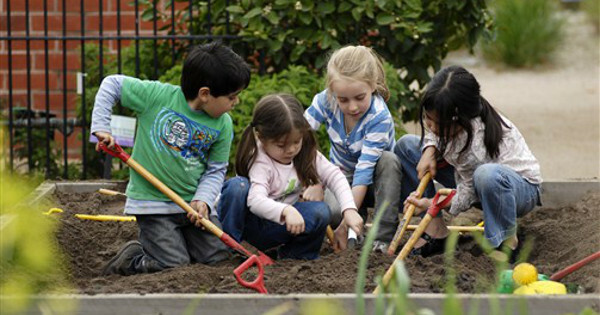 Rolling lawns, water features, wetlands, bamboo forest, herb garden: the Children’s Garden has it all. Wheelchair and pram accessible, however no four-legged friends allowed (but there are dog-friendly spaces in the nearby Royal Botanic Gardens). Entry to both the Botanic Gardens and the Children’s Gardens is free. 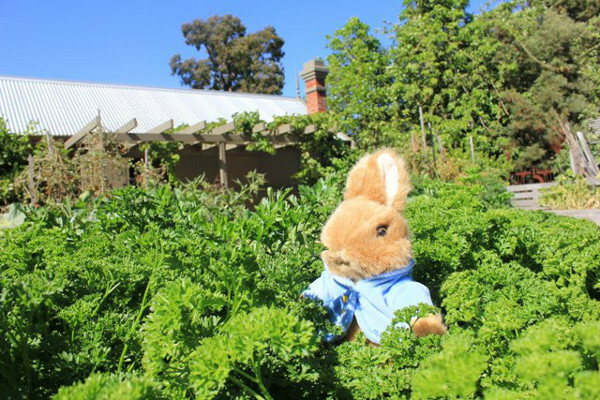 Check out the Royal Botanic Gardens’ website for more details and upcoming events. You think Melbourne, you think coffee: the two are inseparable. 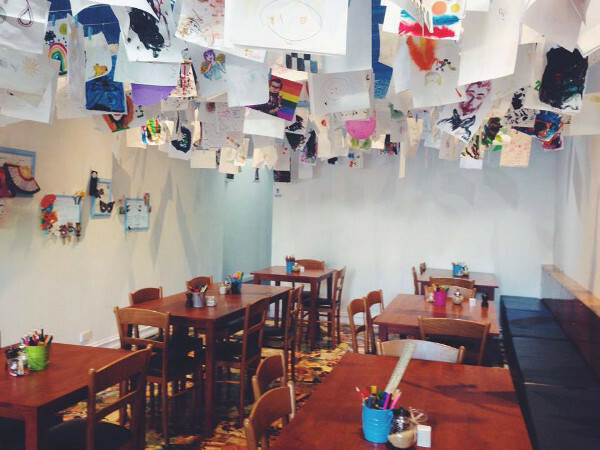 So no surprise that Melbourne has some truly amazing kid-friendly cafes. I could list dozens, but have limited myself to just three of the best (this was no easy task). Jam and Cream in Heidelberg Heights do a high tea that caters to kids! Fairy bread, cupcakes, and pink lemonade are all on the menu. 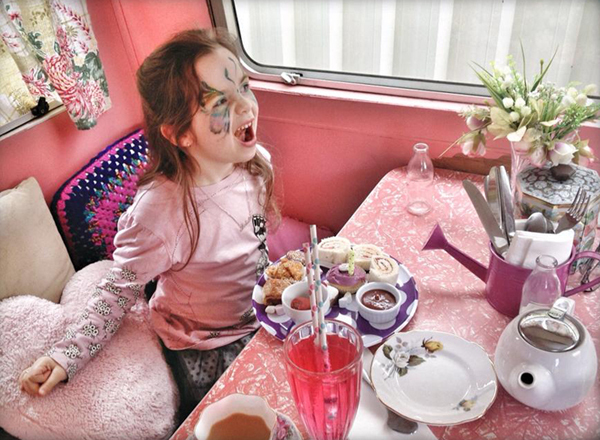 And you can even take tea inside their delightfully retro pink caravan. There are chickens out back, a blackboard wall for kids to draw on, and a box of dress-ups, all of which create a playful atmosphere. The whole place has a kitschy-nanna feel that is wonderfully fun. Of course with a name like Jam and Cream you know they have fabulous scones and here they are served fresh from the oven! Okay, I’m salivating now. Yum. Closer to town we recommend checking out Habitots in Albert Park (above). This sensational place is a gift shop and cafe out front, with a beautiful backyard and fun play areas for the kids to run about. Plus they have arts, crafts, and music classes upstairs. Wow, so much awesome under one roof! One more brilliant cafe worth a mention is Crafternoon, located in both Carlton and Brunswick. Good coffee and food for the parents and basically every crafty activity you can think of available for the kids…and parents. 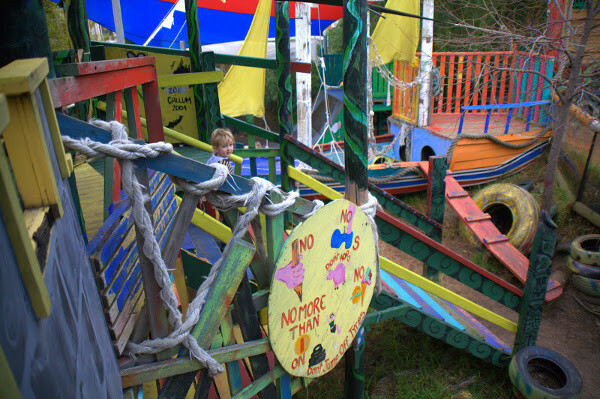 I’ll admit, this is a good place to go for some creative fun sans kids too! Melbourne Zoo is always a great place to visit, but their Keeper Kids play space is a bit of an insider secret. 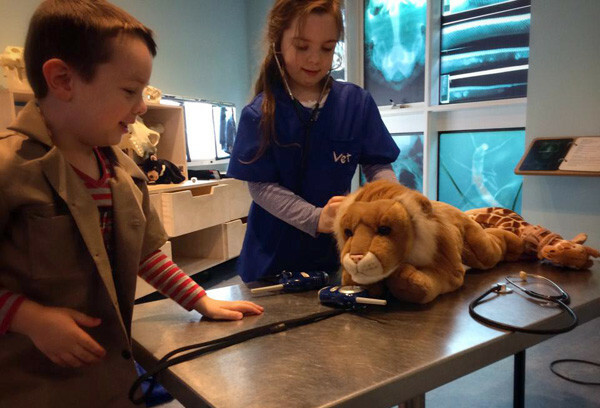 This is an ace place where preschoolers and up can role-play being a zookeeper, veterinarian, or horticulturalist. Through play, kids learn about how the zoo takes care of our animal friends. There are also adult-sized costumes so parents can join in the fun. Keeper Kids is a free exhibit within the Melbourne Zoo and open everyday. Some kids love a bit of a thrill with their playtime, and some parents love to really tucker the kids out with some excitement. It’s a win for everyone. So here we have two great Melbourne spots where the kids can get physical. 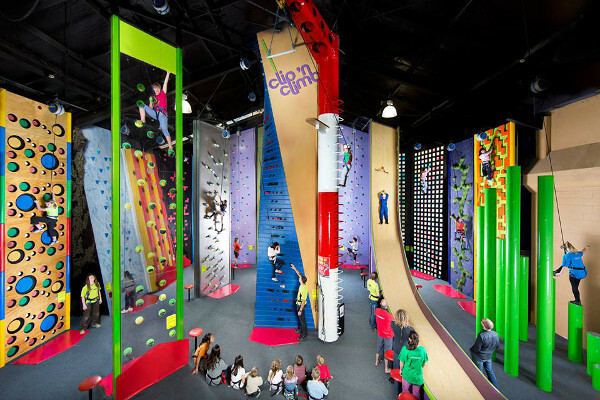 Clip ‘N Climb in Richmond is like a theme park for kids who love to climb up high. They have a variety of fun climbing walls, slides, and daring challenges to suit any ability and age. All activities are done in full safety harness gear and everyone gets a safety lesson before they can start climbing. Great exercise and fantastic fun. Kids under five must be supervised at all times. If you have kids who love to get wet then the Glen Eira Sports and Leisure Centre is a great place to be. 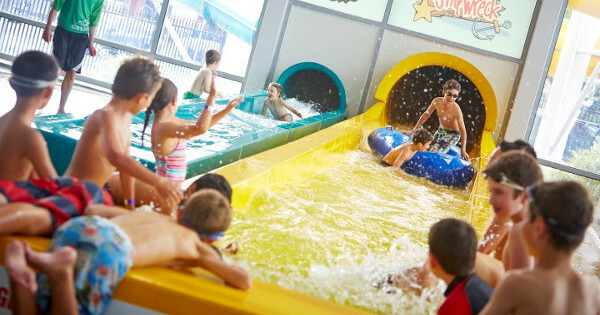 Indoor and outdoor pools, two wild water slides, and an interactive leisure pool for the wee ones. You don’t need to be a member to enjoy this playful pool, casual entry is available and bubs under three get in for free. 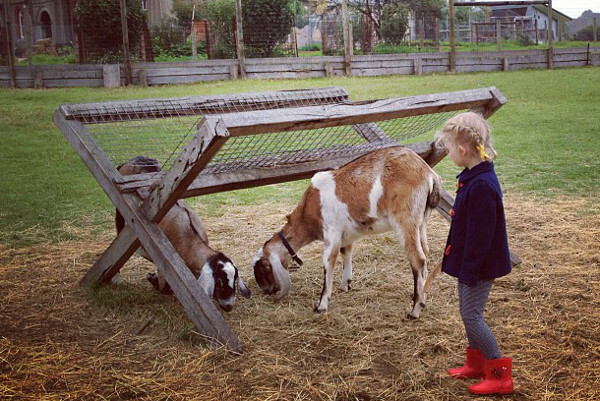 The Collingwood Children’s Farm is a Melbourne treasure where you don’t just look at the animals but get involved with the farm work. Milk a cow or bottle-feed lambs, check for eggs under the chooks, or cuddle a guinea pig. So many delightful experiences. The farm is located beside the Yarra River and some wonderful bike rides. They have a small cafe with yummy fresh fare and a kid’s menu that isn’t full of fried food. Also nearby is the Abbotsford Convent, hosting some good cafes, an art gallery, and lush garden for lounging about. Melbourne just loves its public transport and seems to have a special affection for trains. 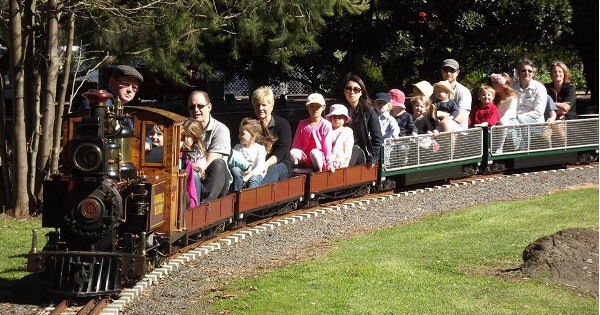 There are a number of miniature railways located around the city, but our Babyology favourites are the Diamond Valley Railway in Eltham (which even has a miniature tram) and the lovely Box Hill Miniature Steam Railway that winds through Elgar Park. Make sure to check their websites before heading out as these railways do not operate every day. 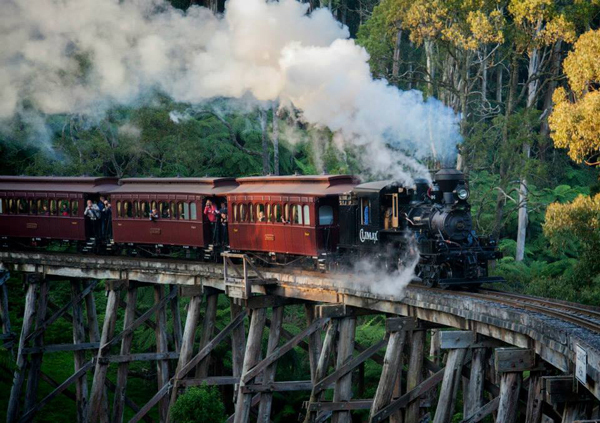 When it comes to trains, nothing surpasses the stunning scenery and fun times aboard the Puffing Billy (above). This steam train is over 100 years old and winds slowly through the gorgeous Dandenong Ranges with regular stops. Bigger kids are allowed to sit along the window sill with their feet hanging out, and holding onto secure bars across the window. This creates an unforgettable, exhilarating experience, especially when crossing bridges! Puffing Billy also have Thomas the Tank Engine visit for a few weeks each year. 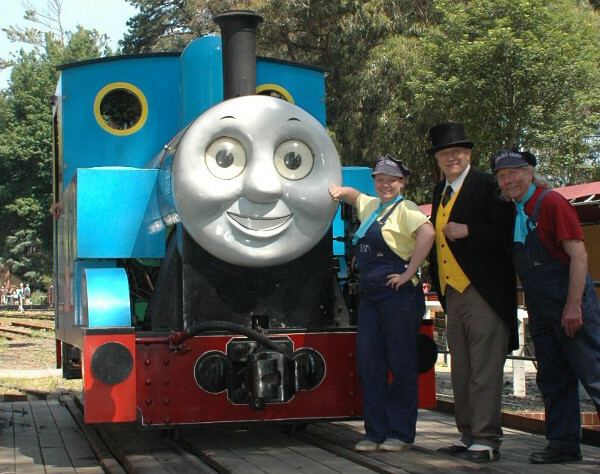 Kids can ride in Thomas, hear him talk with his carriages (Annie and Clarabel), and meet the Fat Controller. There are also jumping castles, a petting zoo, and lots of fun activities when Thomas is in town. If you want a day out with Thomas it is good to book early because tickets do sell out. 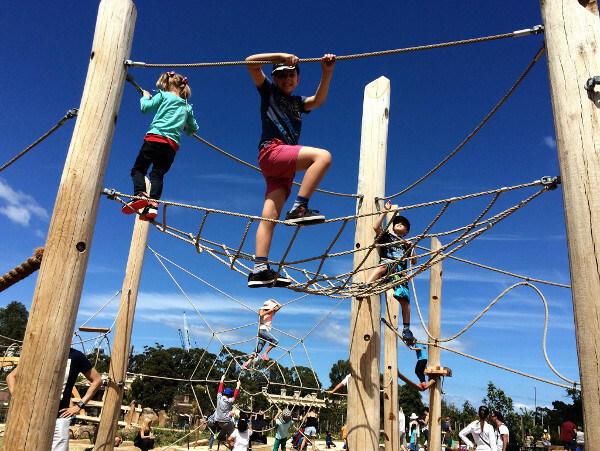 For a playground with a difference, look no further than St Kilda Adventure Playground. This playground is built by volunteers and local community and is constantly changing as new bits are built, added, or repainted. There is always something new to discover. With slides, trampolines, and tunnels galore it’s an ideal place to let the kids loose on an exploratory adventure. There are staff on site, bbq facilities, and a self-serve kitchen. Recommended for kids over six years old, but call ahead to avoid disappointment as this park can be closed in rainy or hot conditions. 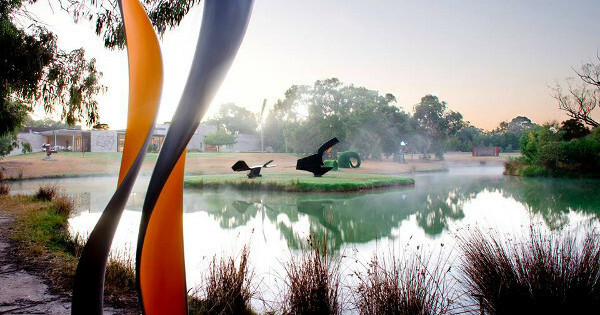 Exquisite landscaped gardens, both classic and wild, are dotted with over 100 permanent sculptures to create the surreal wonderland of McClelland Sculpture Park. There is heaps of space for the kids to run about and explore. Learn the stories behind each piece or just sit back and enjoy the view. 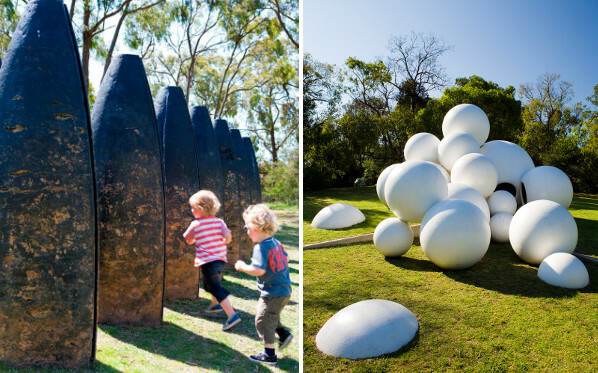 The McClelland Sculpture Park also contains changing exhibits and you can find out more about what is on show at their website. There is a licensed cafe on site but picnicking amongst the art is also a treat. Dogs are welcome in the park. Entry by donation. Know a kid who loves firefighters? Then you cannot go past the Fire Services Museum. 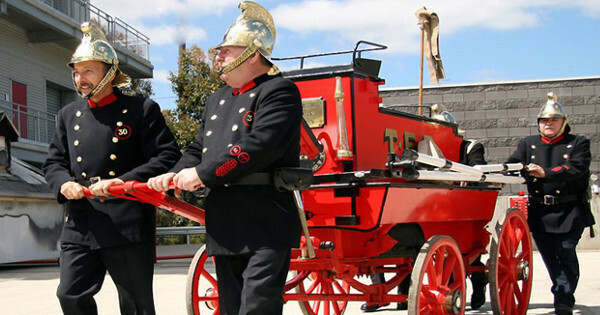 Located in the city, the museum is volunteer-run and staffed mostly by ex-firies, who have some captivating stories to share. There is a large collection of historic fire engines for the kids to explore, and if you call ahead you can catch a demonstration of the hoses and ladders. The museum is open Thursday, Friday, and Sunday only. 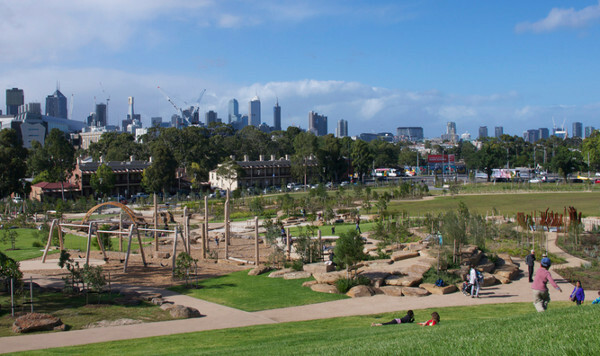 There is no shortage on parkland and playgrounds in Melbourne, but it’s not always easy to know where to find the best spots. 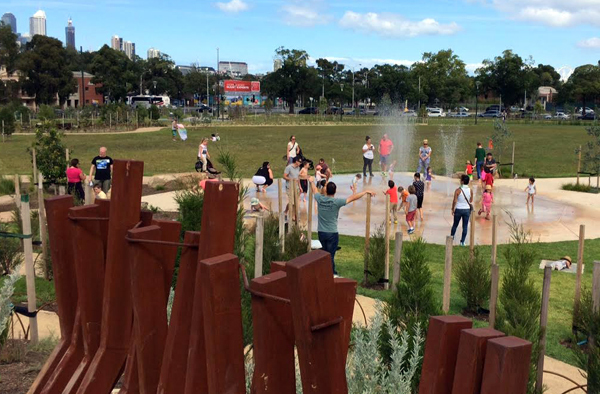 If you are inner city, the new Royal Park Nature Play ground is the talk of the town. The Victorian government spent over five million dollars building this incredible, expansive world of wooden frames, climbing ropes, sand pits, big slides, water features, and so much more. 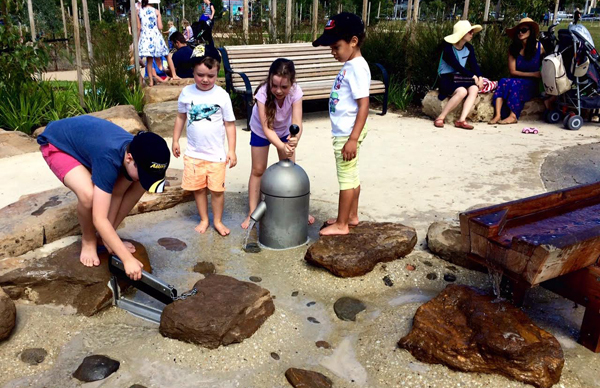 Be sure to pack the bathers when it’s warm – and gumboots when it’s not – because the water play area is irresistible. As always, the best bits are the simple things and Royal Park Nature Play has a lovely large hill that is wonderful to roll down or for a view of our lovely city. If you are looking for a park wherever you are in town, the City of Melbourne have provided a useful interactive map to make your search simpler. 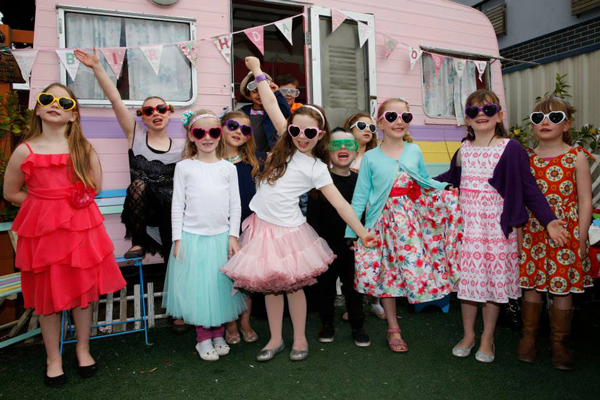 What are the best kids spots you’ve been in Melbourne? We’d love to hear your thoughts.